The Employment Act (EA) currently governs all employees apart from Singapore government (or statutory board) employees, seamen, domestic workers and persons employed in a managerial or executive position earning over S$4,500 in basic monthly salary. Part IV of the EA, which stipulates mandatory rest days, hours of work and other such conditions of service, only applies to workmen (manual labour employees) earning up to S$4,500 in basic monthly salary, and other employees earning up to S$2,500 in basic monthly salary. Those employed in a managerial or executive position (generally understood to include professionals) earning up to S$4,500 in basic monthly salary are covered by all the main provisions of the EA aside from Part IV. Singapore’s Ministry of Manpower (MOM) has, however, recently announced that it has completed a comprehensive review of the EA. Expected changes include extending the applicability of the EA’s core provisions (such as those relating to an employee’s public holiday and sick leave entitlements, among other things) to all professionals, managers and executives (PMEs), regardless of their basic monthly salary, making the majority of the EA (aside from Part IV) applicable to nearly all employees, apart from government employees, domestic workers and seafarers. The applicability of the EA’s additional protective provisions set out in Part IV (such as those relating to hours of work, overtime pay and rest days) will also be extended to non-workmen earning up to S$2,600 in basic monthly salary (what would remain unchanged is the applicability of Part IV to workmen earning up to S$4,500 in basic monthly salary). These changes to the EA are expected to be tabled in Parliament in September 2018 and implemented by April 2019. Apart from the EA, there are other statutes that govern specific aspects of employment, such as the Personal Data Protection Act 2012 (PDPA), Protection from Harassment Act (PHA), Retirement and Re-Employment Act (RRA), Child Development Co-Savings Act (CDCA, concerning maternity and childcare leave), Employment of Foreign Manpower Act (EFMA), Workplace Health and Safety Act and Industrial Relations Act. The PHA (see question 1) defines harassment essentially as the causing of harassment, alarm or distress, whether intentionally or unintentionally (provided the harasser should have reasonably known that the act would likely have caused harassment, alarm or distress). The PHA is meant to cover acts of harassment within and outside the workplace, stalking and cyberbullying, and abolishes the common law tort of harassment, establishing a statutory tort under Singapore law. Acts of harassment may constitute criminal offences under the PHA, and may also form the basis of a civil action. Apart from commencing civil claims for redress against acts of harassment, it is also possible for an individual to apply for various protection orders and expedited protection orders against such acts of harassment, as well as a court order compelling offending third parties to make corrections to any false statements of fact that have been made against that particular individual. The Court of Appeal held in Attorney-General v Ting Choon Meng and another appeal  1 SLR 373, however, that only individuals (and not organisations or entities) will be able to seek correction of false statements and other redress under the PHA. The High Court decision in Benber Dayao Yu v Jacter Singh  5 SLR 316 saw the application of the PHA in the employment context. There, an ex-employee successfully obtained a protection order against an ex-employer who had published on its website various allegations in connection with the ex-employee’s termination. The Court found that the ex-employer’s conduct in the circumstances amounted to harassment and was not reasonable even if there was some truth in certain assertions made by the ex-employer, and accordingly the ex-employer was ordered to remove all publications relating to the ex-employee on its website, and desist from publishing further insulting or abusive communications about the ex-employee. The Singapore courts have also recognised over the past few years (see the Court of Appeal decision in Wee Kim San Lawrence Bernard v Robinson & Co (Singapore) Pte Ltd  4 SLR 357 and the High Court decision in Brader Daniel John and others v Commerzbank AG  2 SLR 81) that employers generally owe employees an implied duty not to undermine or destroy the mutual trust and confidence in the employer-employee relationship. This is discussed in greater detail in questions 36 and 39. One aspect of this duty in the United Kingdom is that an employer may have a duty to enquire into an employee’s complaints of sexual harassment in the workplace. It will be interesting to see if this aspect of the duty will come to be adopted by the Singapore courts and if it could also include a duty to enquire into other forms of harassment. Article 12(2) of the Constitution of Singapore (the Constitution) protects individuals from discrimination on grounds of religion, race, descent or place of birth (among other things). Aside from this, Singapore has no specific laws protecting employees from discrimination based on gender, race or disability. There are, however, general guidelines such as the Tripartite Guidelines on Fair Employment Practices issued by the Tripartite Alliance for Fair Employment Practices (TAFEP), but these are not statutorily binding. That said, the MOM may refer to these when addressing complaints of unfair employment practices. Also relevant in this respect is the MOM’s Fair Consideration Framework and Human Capital Partnership Programme (see question 9). Some statutes do specifically prohibit certain forms of discrimination. For example, employers cannot dismiss female employees under the CDCA or EA (see question 25) during the period of their maternity leave. As for older employees, the RRA makes it mandatory for companies to offer eligible employees re-employment opportunities (for at least one year, unless otherwise stated) beyond the current statutory retirement age of 62, up to the age of 67. The RRA also makes it an offence for employers to dismiss or terminate the contracts of employees below 62 for the sole reason of their age (although this does not affect the employer’s right to terminate the employment for poor performance, ill health or misconduct). However, the RRA does not address prospective discrimination against older employees in relation to either recruitment, selection, promotion or training opportunities per se. Some of these issues are addressed in TAFEP’s Tripartite Guidelines for Re-employment of Older Workers. As with other TAFEP Guidelines, these are not strictly speaking legally binding. However, the MOM has warned that non-compliance with TAFEP Guidelines may result in administrative action, including curtailment of an employer’s work pass privileges. The primary government agency responsible for the enforcement of employment statutes and regulations is the MOM. The MOM also adjudicates on employment issues, including unfair dismissal, related to EA employees (see question 1) through proceedings before the Commissioner for Labour (colloquially termed ‘Labour Court’ proceedings, though the High Court in MST Ruma Khatun v T & Zee Engineering Pte Ltd  4 SLR 1045 noted that these may not be ‘court’ proceedings in the true sense). Parties are not allowed legal representation in such proceedings, but decisions by the Commissioner for Labour are generally appealable to the Singapore High Court within 14 days of the decision. The MOM also regulates other employment-related areas such as workplace safety and employment of foreign manpower. Employees not covered under the EA do not have access to the Labour Court, but may seek redress through the State Courts or High Court. Over and above this, the Employment Claims Tribunals (ECT) were set up in 2017 to provide employees and employers with a more economical and expeditious avenue to resolve salary-related disputes. The ECT is a division of the State Courts, which currently hears only salary-related claims of up to S$20,000 (or S$30,000, if parties have attempted formal mediation with trade union involvement at the Tripartite Alliance for Dispute Management (TADM)), including claims for contractual bonus payments. This is an avenue available not only for employees covered by the EA, but also for all employees (including PMEs). No external legal representation is allowed, however, and parties must attend compulsory mediation before claims can be heard before the ECT. The ECT has since replaced the role of the Commissioner for Labour in adjudicating salary-related claims. Claims relating to dismissal are currently heard before the Labour Court, but proposed changes to Singapore’s employment law regime to be implemented around April 2019 will allow the ECT to hear both dismissal claims and salary-related disputes, reflecting the reality that such claims are closely related and often arise concurrently. While not strictly an enforcement agency, the MOM, together with the Singapore National Employers Federation and the National Trades Union Congress, have also set up a tripartite mediation scheme with TADM as an alternative means of dispute resolution between employees and their employers. From 2017, the enhanced tripartite mediation framework was made available to all PMEs (with no salary cap), and allowed for an expanded scope of claims (including disputes relating to re-employment, parental leave and other employment-related statutory benefits) to be mediated. The TADM will also be extending voluntary mediation services to self-employed workers (freelancers and gig workers) for the resolution of payment disputes with businesses. It is compulsory for ECT claims to go through TADM mediation first. The primary agency responsible for enforcing the PDPA is the Personal Data Protection Commission (PDPC) (see question 34), while the PHA is enforced through the courts. The Trade Unions Act allows employees to form or join trade unions to regulate their relations with their employers through collective agreements. Once formed and registered with the Registrar of Trade Unions, the trade union may approach an employer for statutory recognition under the Industrial Relations (Recognition of a Trade Union of Employees) Regulations. It is ultimately difficult for an employer to refuse to recognise a trade union at law. Where the employer so refuses, it must notify the MOM Commissioner for Labour (see question 3). The Commissioner may then call for a secret ballot among the employees entitled to vote, and if a majority of those employees are members of that trade union, the employer must give it recognition. As secret ballots are logistically challenging (among other things), trade unions have in the past used memoranda of understanding (MOUs) with employers as an interim step instead (MOUs are contracts where, for example, the union agrees not to seek recognition for a certain number of years, and the employer in return agrees to sponsor or subsidise its employees’ union fees and dues). PMEs (see question 1) may be collectively represented as a group by trade unions, thus affording greater protection to PMEs by way of a wider set of union representation. PMEs are thus able to turn to unions for representation if they encounter re-employment issues. That said, where a trade union’s majority membership is made up of non-PMEs, that trade union will not be able to collectively represent PMEs where there is a real or potential conflict of interest if such PMEs are represented by the trade union, or where management effectiveness may be undermined. PMEs who are (i) employed in a senior management position (or perform or exercise any similar function); (ii) involved in or are able to influence the decision-making on any industrial matter; (iii) involved in representing the employer in any negotiation relating to any industrial matter; or (iv) in a position to have access to confidential information (relating to the employer’s finances and budgets, any industrial relations matter or the salaries and personal records of other employees) would not be eligible for collective representation from such trade unions, but the trade union will still be able to represent these PMEs on an individual basis and for limited matters. Once recognised, a trade union can invite the employer to negotiate a collective agreement for its relevant employees. If the employer refuses to negotiate, a statutory ‘trade dispute’ will exist, which will have to be determined by the Industrial Arbitration Court (IAC) where, as with the Labour Court, the ECT and mediation before the TADM, legal representation is not allowed. Prior to that, the Commissioner may intervene to facilitate reconciliation between the parties. In 2012, the IAC made a significant ruling in United Workers of Electronic and Electrical Industries (UWEEI) v Sealing Technologies Pte Ltd. In that case, the respondent company had granted statutory recognition to the claimant trade union, and was negotiating a collective agreement (which likely involved retrenchment benefits). However, before the collective agreement could be finalised and signed, the company laid off 98 of its workers. The trade union brought a claim on behalf of the workers, and significantly, the IAC ordered the company to increase the retrenchment benefits for those workers from the two weeks per year of service to the more customary one month, notwithstanding that the company was under no statutory or contractual obligation to do so. In the same vein, in 2013, the IAC made another significant ruling in Singapore Industrial & Services Employees’ Union (SISEU) v First Defense Services Pte Ltd. In that case (where the company had also accorded statutory recognition to the trade union), the company had not given its employees any pay increments after around two years from the time of recognition although it was financially healthy. The claimant trade union served a collective bargaining notice on the company and attempted to negotiate pay increments for the employees, but the company refused. The trade union then brought a claim on behalf of the employees, and the IAC ordered the company to grant certain pay increments, despite the fact that the company again had no contractual or statutory obligation to do so (as again, no collective agreement had been signed). These cases demonstrate the willingness of the IAC to resolve trade disputes on the basis of equity and fairness rather than strict contractual principles, as it is statutorily empowered to do. It also indicates that companies are obliged to negotiate with trade unions in good faith, and statutory recognition by the company of the trade union is a key milestone in the engagement process. While a registered trade union is also able to commence, promote, organise and finance a strike or industrial action, it may only do so in limited circumstances. Restrictions in this respect are imposed upon both the trade union and its members by the Trade Unions Act and the Trade Disputes Act. For example, under the Trade Unions Act, a registered trade union is prohibited from commencing, promoting, organising or financing any strike or any form of industrial action affecting the whole or any section of its members without obtaining the consent, by secret ballot, of the majority of the members so affected. Further, under the Trade Disputes Act, strikes and industrial actions are illegal if they have any object other than the furtherance of a trade dispute within the trade or industry in which the persons taking part in the industrial action are engaged (eg, if it is designed or calculated to coerce the Singapore government either directly or by inflicting hardship on the community). It is an offence for any person to knowingly expend or apply any money in direct furtherance or support of, or instigate or incite others to take part in, or otherwise act in furtherance of, an illegal strike or industrial action. Union-led strikes are very rare in Singapore. The last strike in 2012 did not involve a union, and the previous strike was in 1986. There are currently no restrictions on an employer (or third party) conducting a background check on a job applicant. In fact, under the PDPA, publicly available personal data as well as credit reports from credit bureaus can be obtained without the consent of applicants. Personal data can also be collected or used for employment evaluative purposes without informed consent. The collection of data from other sources will be subject to the provisions of the PDPA (see question 34). There are no such restrictions or prohibitions. An employer may refuse to hire an applicant who refuses to submit to such an examination or test. Under Singapore’s Workplace Safety and Health (Medical Examinations) Regulations 2011, employers have a statutory duty to ensure that any prospective employee who is to be employed in a hazardous occupation (for example, occupations involving the use or handling of or exposure to certain chemicals or any of their compounds) undergoes a pre-placement medical examination by a designated workplace doctor, to be certified fit to work in such an occupation. Administratively, the MOM (see question 3) also requires employers of prospective foreign workers on Work Permits to send such workers for a medical examination within two weeks of their arrival in Singapore. Work Permits for these workers will only be issued if they pass the medical examination, otherwise the foreign worker would have to be sent home. See question 2. Aside from the Constitution, the TAFEP Guidelines caution against choosing job candidates based on race, religion, age or gender, marital status and disabilities, and encourage employers to recruit on the basis of merit. Tripartite Standards released in 2017 also encourage employers to address only objective and relevant selection criteria in their job advertisements, application forms and during interviews. Employers complying with such non-mandatory standards will earn public recognition as a progressive employer. Such criteria also appears to mirror what is set out in the TAFEP Guidelines (which the MOM has stated it will enforce against recalcitrants through administrative actions such as the curtailment of work pass privileges). Under the MOM’s Fair Consideration Framework, employers who wish to hire a foreign employee on an Employment Pass must (unless they fall within certain exceptions) advertise the particular job vacancy online on the national Jobs Bank administered by the Singapore Workforce Development Agency for at least 14 days before an application for an Employment Pass may be made. Some exceptions to this requirement include where the company concerned has 25 or fewer employees, where the job position is paying a fixed monthly salary of S$12,000 and above (with effect from 1 July 2018, however, firms with at least 10 workers will have to advertise jobs paying under S$15,000 a month), or where the job is to be filled by an intra-corporate transferee who holds a senior position or has an advanced level of expertise. This is aimed at preventing discrimination against Singaporeans by employers who prefer to hire foreigners. The Human Capital Partnership Programme launched by the MOM also recognises employers with a good track record in their employment practices, and leads to certain benefits such as endorsements recognising them as employers of choice, better access to government support and resources, and faster responses and higher service standards with the MOM. On the other end of the spectrum, as at March 2018, the MOM has placed 500 companies on its watch-list pursuant to its Fair Consideration Framework for unfairly favouring foreigners in their hiring (though 150 companies have improved and exited the watch-list). These companies who (i) employ a high proportion of foreigners; (ii) have no plans to recruit and train more Singaporeans; and (iii) make a low contribution to the economy and society, can expect to have their work pass privileges curtailed by the MOM and their Employment Pass applications subject to closer scrutiny, meaning they may potentially have no new Employment Pass applications approved and no renewals of their existing Employment Passes. Employers are required to set out certain terms of employment known as Key Employment Terms (KETs) in writing, and to issue a copy of these written KETs to all employees covered by the EA who are hired on or after 1 April 2016 and who are employed for a continuous period of 14 days or more. This is intended to assure employees of their basic rights to payment and other benefits, as well as to minimise disputes between employers and employees. The written KETs should include, among other things, provisions relating to the payment of salary, allowances and other salary-related components such as bonuses and incentives, leave entitlements and the notice period for the termination of employment (whether initiated by the employer or employee). For employees not covered by the EA (see question 1, although this group of employees will be limited, following changes to the EA to be implemented by April 2019), there is at present no requirement for contracts of employment to be in writing. For such employees, contracts of employment or service may be formed orally, by conduct or in writing, and an employment contract need not be written for its terms to be enforceable (although written terms are easier to prove and enforce). In any event, employers should pay close attention to ensure that any onerous financial terms are set out expressly and unambiguously in employment contacts (whether in relation to employees covered by the EA or otherwise). This is due to the approach by the Singapore courts in interpreting and construing onerous financial terms of employment agreements in favour of employees. In the 2015 Singapore High Court decision in Corinna Chin Shi Hwa v Hewlett-Packard Singapore (Sales) Pte Ltd  SGHC 204, the court observed that where an employer had used a standard form contract containing provisions that were obviously unfair (eg, ambiguous terms relating to the payment of various incentive compensations due to the employee which could lead to unreasonable results), the employer may risk finding itself unable to enforce those terms as regards the employee (while this case went on appeal and the Court of Appeal eventually found in favour of the employer, this was on the basis that the provisions were not in fact ambiguous, and the High Court’s observation above remains unaffected). This would be especially so in an employment relationship where an implied duty of trust and confidence exists. As such, while a non-EA employment contract still need not, strictly speaking, be in writing for its terms to be enforceable, employers should now ensure that any onerous financial terms are expressed clearly and unambiguously, and specifically brought to the employee’s attention where possible. Further, employers are required to issue itemised payslips to employees covered by the EA. Itemised payslips must be given at least once a month at or around the time payment is made to the employee. In the case of termination or dismissal, employers must provide the payslip together with any outstanding salary. The itemised payslip should include information such as the date of payment, the basic salary, any additional payments (such as bonuses and pay for working on a rest day) and any deductions made for each salary period. Fixed-term employment contracts are not uncommon and are enforceable. There is no statutorily prescribed maximum duration for fixed-term contracts, although Tripartite Guidelines and Standards address common concerns of fixed-term employees (see question 26). Where possible, employers should also take care to provide for termination options prior to the expiry of the fixed term (see question 36 on constructive dismissal and its relevance to fixed-term contracts). In the absence of such termination provisions, where the employer constructively terminates the employee’s employment during the fixed-term contract, the employer may be liable in damages to the employee for the remaining period of the fixed-term contract yet to be performed (as per the High Court decision in Cheah Peng Hock v Luzhou Bio-Chem Technology Ltd  2 SLR 577; see question 36). There is no maximum duration for probationary periods prescribed at law. Probation periods are generally around one to three months, but may extend beyond this. The contractual notice period for termination (see question 36) is normally shorter during probation periods (eg, one week, as opposed to one month post-probation). whether the alleged employer has the power to dismiss the alleged employee from service. If the above are answered in the positive, the individual is more likely to be considered an employee. On a related note, there is also increasing attention on the growing number of freelancers and gig economy workers. Such individuals are technically independent contractors even though they share many of the characteristics of (and indeed may be de facto) employees, and as such do not receive statutory or contractual employee benefits. The UK courts now appear to recognise an interim class of ‘workers’ in between employees and those who are self-employed. It remains to be seen if the Singapore courts can or will follow suit. In this respect, while no changes to the legislative framework have been specifically announced as yet, a Tripartite Standard on Contracting with Self-Employed Persons has recently been launched, aimed at entrenching best practices and shaping contractual norms over time, and at better protecting freelancers by encouraging businesses to discuss and agree with the freelancer the terms of engagement and payment schedules. Similarly, a Tripartite Standard on the Procurement of Services from Media Freelancers was released in late 2017, encouraging companies, among other things, to enter into a written contract with the freelancer containing basic contractual terms, in exchange for public recognition as being a progressive company that complies with such non-mandatory standards. Over and above this, the TADM will also extend voluntary mediation services to all self-employed workers for the resolution of payment disputes with businesses. Organisations and individuals who place job seekers with employers are governed by the Employment Agencies Act (EAA). Under the EAA, certain licences are required to be obtained before organisations and individuals may place jobseekers with employers. Work passes, in principle, are available for employees transferring from one corporate entity to a related entity in another jurisdiction. A foreign national who seeks or is offered employment in Singapore will fall under the provisions of the EFMA (see question 1). The EFMA requires that such a foreign employee must obtain a valid work pass (an Employment Pass, an S Pass or a Work Permit). The issuing of a work pass to the foreign employee is at the discretion of the Controller of Work Passes (under the MOM (see question 3)). One of the most common types of short-term visas is a miscellaneous work pass, which is similarly issued by the Controller of Work Passes. These are suitable for foreigners on short-term assignments of up to 60 days. There are no published numerical limitations on such passes. No foreign national can work in Singapore without a valid work pass or permission from the MOM. Spouses of certain pass holders can work in Singapore provided they obtain their own valid work pass. Alternatively, spouses on a dependant’s pass may also work in Singapore if a letter of consent from the MOM is obtained. No employer can employ a foreign employee without a valid work pass. The work pass is valid only for the employer and type of employment expressly specified. Each work pass is issued to a foreign employee with mandatory conditions to be followed and is valid only for the period specified. All employers are required by the EA and the EFMA (see question 1) to keep a register of foreign employees to whom work passes have been issued. It is an offence to employ an unauthorised foreign worker and the penalty on conviction is a fine between S$5,000 and S$30,000 or imprisonment for up to 12 months or both for the first offence, and fines of up to S$60,000 for corporate repeat offenders. It is also an offence to work without a valid work pass. The sanctions for the worker on conviction are a fine not exceeding S$20,000 or imprisonment for a term not exceeding 24 months, or both. An employer who employs a foreign worker who does not have the right to enter or remain in Singapore may also be guilty of an offence under the Immigration Act. Different eligibility criteria and restrictions are also applicable depending on the specific work pass and the foreign employee concerned. Generally, there is no minimum qualifying salary to obtain a Work Permit, but foreign employees holding Work Permits are limited by maximum employment periods ranging from 10 to 22 years (which will be raised to 14 to 26 years from 1 May 2018), depending on their skill level and the industry in which they work. The minimum qualifying salary for a foreign employee to be issued an S Pass (which does not impose a maximum employment period) is currently S$2,200. This will be raised progressively to S$2,300 from 1 January 2019, and to S$2,400 from 1 January 2020. Foreign professionals, managers and executives earning at least S$3,600 a month would have to obtain an Employment Pass or other similar passes. There is no maximum employment period applicable for a foreign employee holding an Employment Pass, though the Employment Pass (as with Work Permits and S Passes) will still need to be renewed. Beginning from 1 July 2018, firms with at least 10 workers must also advertise jobs paying under S$15,000 a month on the national Jobs Bank for 14 days before hiring a foreigner for the role (prior to this date, firms with at least 26 workers will have to advertise jobs that pay under S$12,000 a month). No. There is, however, a limit on the number of foreign employees a firm may employ under a Work Permit (suitable for semi-skilled workers in the construction, manufacturing, marine shipyard, process or services sector) or S Pass (suitable for mid-level skilled staff). Each industry is assigned a quota (a foreign employee entitlement), used to compute the number of foreign employees each firm can recruit. The entitlement is based on the size of the total workforce in the firm as well as its ratio of local to foreign employees. Each industry has unique eligibility criteria to determine the firm’s foreign employee entitlement. The industry sector the firm falls under is based on the declaration of its business activity. Part IV of the EA stipulates mandatory rest days, hours of work and other conditions of service. Generally, employees covered under Part IV (see question 1) cannot be required to work for more than eight hours a day or 44 hours a week. By agreement, however, and provided that such employees either work five days a week or less, or less than eight hours on one or more days of the week, such employees may work more than eight hours on some days. Even in such situations, Part IV employees still cannot be required to work more than nine hours a day or 44 hours a week. Again, under certain exceptional circumstances (eg, urgent work, or work essential for defence or security), Part IV employees may be permitted to exceed the eight- or nine-hour limit, provided they still do not work more than 12 hours a day. Part IV employees are also prohibited from working more than six consecutive hours without a leisure period. The employee is allowed one whole day (or, for shift work employees, any continuous period of 30 hours) as a rest day each week without pay. The employer can determine which day of the week the rest day shall fall on. An employee may elect to work overtime at higher rates of pay (see question 20) for more than those numbers of hours or on a rest day, provided that no employee works overtime for more than 72 hours in a month or more than 12 hours a day. In the 2013 High Court decision in Monteverde Darvin Cynthia v VGO Corp Ltd  2 SLR 1, it was held that any contractual term requiring an EA employee covered by Part IV of the EA to work for more than 44 hours without overtime payment was illegal (and therefore null and void), and the employee would be entitled to overtime payment for the extra hours worked. No statutory restrictions as to working hours, days or periods currently apply to employees not covered by Part IV of the EA, and any such restrictions would be a matter of contract between such employees and their employers. In late 2017, however, Tripartite Standards on Flexible Work Arrangements were released, encouraging employers to implement variations from usual work arrangements in exchange for public recognition as a progressive employer. An employee covered by Part IV of the EA must be paid for overtime (see question 19) at the rate of not less than 1.5 times the employee’s basic hourly rate of pay (or two times, where the employee is requested to work on a rest day). Although the scope of employees covered currently includes workmen earning up to S$4,500 and non-workmen earning up to S$2,500 in basic monthly salary, amendments to the EA (see question 1) will see the salary cap in relation to non-workmen increased to S$2,600. While the current overtime rate payable for non-workmen covered by Part IV of the EA is capped at the salary level of S$2,250 to help employers manage costs (ie, a non-workman earning a salary of between S$2,250 to S$2,500 will be entitled to overtime pay, but calculated from a base of S$2,250 as opposed to his or her actual salary), this salary level will similarly be increased to S$2,600 once amendments have been implemented in April 2019. Overtime payment must be made to the employee within 14 days after the last day of the employee’s salary period. In addition, an employee covered by the EA (whether or not covered by Part IV) who is required by his employer to work on any public holiday is also entitled to an extra day’s salary. If the employee is a PME (see question 1), he or she may also be given a day off in substitution for that holiday, or part of a day off depending on the number of hours spent working on that public holiday. An employee under Part IV of the EA will be statutorily entitled to overtime pay in the manner prescribed by the EA. Non-payment of overtime pay would result in the commission of an offence under the EA and any clause in that employee’s contract purporting to waive the right to overtime pay would be void and unenforceable (see question 19). As for employees not covered by Part IV of the EA, whether or not an employee has a right to overtime pay will at present be governed by the provisions of the employment contract. It is possible for the employer to expressly stipulate in the employment contract that it is contemplated that the employee will have to work outside the employer’s ordinary working hours in order to complete all the tasks asked of that employee and in consideration for that employee’s regular remuneration. An employee covered under Part IV of the EA will be entitled to annual leave that is in addition to the rest days, holidays and sick leave (see questions 1 and 23) to which the employee is entitled. Such Part IV EA employees who have worked for an employer for a period of not less than three months are entitled to paid annual leave of seven days for the first 12 months of service with that employer. The employee is statutorily entitled to an additional day’s annual leave for every subsequent 12 months of continuous service with the same employer, up to a maximum of 14 days. The employer is free to contract on terms that are more (but not less) favourable to its employees. Again, a wider scope of employees will soon find themselves statutorily entitled to paid annual leave as the salary cap in relation to non-workmen who are covered by Part IV of the EA will be raised from S$2,500 to S$2,600 in or around April 2019 (see question 1). Under Part X of the EA, every EA employee is entitled to a paid holiday at his or her gross rate of pay on a public holiday that falls during the time that he or she is employed, although this may be varied by mutual agreement between the employer and employee (also see question 20 on the employee’s right to additional pay for work done on a public holiday). Under Part X of the EA, an EA employee who has served an employer for a period of not less than six months is entitled to paid sick leave certified by a medical practitioner. The statutory entitlement to sick leave, where no hospitalisation is necessary, is capped at 14 days each year. Where hospitalisation is necessary, the employee is entitled to 14 days plus the number of days he or she is hospitalised, capped at an overall aggregate of 60 days. Employers are not required to grant paid sick leave or bear the medical examination expenses of employees for cosmetic consultations and procedures that are not medically necessary, but are free to contract on terms that are more (but not less) favourable to its employees. Insofar as PMEs are concerned, while the above statutory rights are currently available only to those earning a basic monthly salary of less than S$4,500, all PMEs in Singapore will soon find themselves being statutorily entitled to sick leave and sick pay once changes to the EA come into effect around April 2019 (see question 1). Apart from maternity, paternity and childcare leave (see question 25), leave of absence is not currently covered under the EA (or Singapore’s other employment legislation). The prospective grant and duration of such leave, and payment thereunder, is a matter to be contractually determined and agreed between the employer and employee. The Central Provident Fund Act provides for the periodic contributions of monies into the Central Provident Fund (CPF, which is akin to a mutually funded state pension fund) by an employer in respect of each employee at specified rates. The employee will receive monthly payouts upon reaching the age of 65, although the employee may also choose to make limited withdrawals from the age of 55. Meanwhile, the employee may apply the funds for certain purposes such as the purchase of property and certain securities, and towards certain insurance and medical protection schemes. An eligible female employee under the CDCA (see question 1), namely one (i) whose child is a Singaporean citizen and (ii) has worked for her employer for at least three continuous months before the birth of her child, is entitled to 16 weeks of government-paid maternity leave. The female employee may absent herself from work four weeks immediately before and 12 weeks immediately after delivery (ie, totalling 16 weeks); such benefits have been extended to unwed mothers as well. Where there is a mutual agreement with her employer, an employee can take the last eight weeks (ninth to 16th week) of her maternity leave flexibly over a 12-month period from the child’s birth. A female employee who is covered under the EA, but not under the CDCA, will be entitled to 12 weeks of maternity leave, eight of which would be paid. Under the EA and the CDCA, it is not lawful for an employer to give a female employee notice of dismissal (termination) while the female employee is on maternity leave or such that the notice period will expire while she is on maternity leave. While it is not entirely clear from the relevant statutes, this prohibition is likely to apply where the dismissal is done by payment in lieu of notice instead of allowing the employee to serve out the notice period (if that notice period would have expired while the employee is on maternity leave). Over and above this, if an employer gives a female employee notice of dismissal (or termination) without sufficient cause (or on grounds of redundancy or reorganisation) while the female employee is pregnant, it cannot deprive the employee of any payments or entitlements that she would otherwise have received had she not been dismissed (provided the female employee has served the employer for at least three months at the point of notice). This is so even if the notice period would expire prior to the maternity leave. In other words, the employer would still have to pay the employee for her 16 (or eight) weeks of maternity leave. A contract that purports to deprive a female employee of her statutory maternity benefits or reduce an employer’s obligations in this respect will be null and void. Eligible female employees under the CDCA who adopt (rather than deliver) a child are now entitled to 12 weeks of government-paid adoption leave. As the EA does not currently provide for maternity leave for mothers who adopt children, it would appear that female employees who are under the EA but not the CDCA will not be entitled to any adoption leave. Eligible male employees under the CDCA are also now entitled to two weeks of government-paid paternity leave (whereas they were previously only entitled to one week). Under the CDCA, there is also a Shared Parental Leave scheme, where a working father is entitled to share up to four out of the 16 weeks of the working mother’s maternity leave if he meets certain eligibility criteria. The female employee’s maternity leave will then be reduced accordingly. Where an insolvent corporate employer is placed in liquidation, the Singapore Companies Act expressly accords preferential status to claims by employees in respect of unpaid wages and salary, including wages or salary in lieu of notice, with priority over the employer’s ordinary unsecured creditors. There is, however, a statutorily imposed limit on the sum that is payable as a preferred debt, equivalent to five months’ salary or S$7,500, whichever is lower. Any balance claims by the employee do not enjoy preferential status and rank as ordinary unsecured debts in the employer’s insolvency. Under the EA, a part-time employee currently means an employee covered by the Act (see question 1) who is required to work for less than 35 hours a week. Part-time employees are covered by the Employment (Part-Time Employees) Regulations. Every part-time employment contract must specify the employee’s hourly basic rate of pay as well as the number of working hours in a day, week and month. Where a part-time employee works beyond his or her normal hours, but does not exceed the hours a full-time employee doing the same work would have worked, the part-time employee will be entitled to the normal hourly rate of pay for each hour worked up to what the full-time employee would have worked. However, every hour worked over what the full-time employee would have worked will then be considered overtime, and paid for at a rate of 1.5 times the employee’s basic hourly rate. Payments for work on public holidays, annual leave and the number of sick days allowed are prorated according to statutory formulae. Aside from what has already been stated in the other sections, there are no statutory rules specifically directed at fixed-term employees, and their employment relationship will generally be governed by their employment contracts and the EA (and other relevant employment legislation), if applicable. However, Tripartite Guidelines on the employment of fixed-term employees released in 2016 encourage employers to treat contracts renewed within one month of the previous contract as continuous, and grant or accrue leave benefits based on the cumulative term of the contracts (as to leave benefits, see question 25). Employers are also encouraged to notify fixed-term employees in advance as to whether they wish to renew the contract, so as to allow sufficient time for either party to make alternative arrangements. In the absence of agreement, the notice period for termination of a fixed-term contract should be not less than the minimum notice periods prescribed by the EA (see question 37). These guidelines are not legally binding, although the Tripartite Standards on the Employment of Term Contract Employees released in late 2017 now encourage employers to adopt standards similar to those set out in the earlier Tripartite Guidelines in exchange for public recognition as a progressive employer. No, there is no requirement for employers in Singapore to publish information on pay or other details about employees or the general workforce. Under Singapore law, restraints of trade are generally frowned upon on grounds of public policy. However, in the employment context, the Singapore Court of Appeal has held that a restrictive covenant in restraint of trade may potentially be enforceable if it seeks to protect a legitimate proprietary interest, provided that the legitimate proprietary interest that is to be protected by the restrictive covenant in question is not already covered by another restrictive covenant. Recent decisions by the Singapore High Court have suggested, however, that it may be timely for the Singapore Court of Appeal to reconsider this principle (see the discussion under ‘Non-compete clauses’ below). To date, the legitimate proprietary interests the courts have recognised are trade secrets (and confidential information), trade or business connections, and the maintenance of a stable, trained workforce. The courts will generally uphold such restraints provided they are reasonable in the interests of parties and the public, and go no further than necessary. The courts tend to construe restrictive covenants more strictly in the employment contract context than in other areas (eg, sale of businesses, settlement agreements). Protection is granted at common law over an employer’s trade secrets or equivalent confidential information even without an express confidentiality provision (ie, as an implied term), provided the trade secrets can be particularised. However, an express confidentiality clause can potentially help to identify the trade secrets or equivalent information that the employees are precluded from using or disclosing during and after employment, and can also aid in enforcement. Care must also be taken to distinguish between trade secrets and confidential information on the one hand, and the skill and knowledge belonging to the ex-employee on the other. A restrictive covenant seeking to protect the former may be enforced, whereas a restrictive covenant preventing an ex-employee from competing through the latter may be considered unreasonable and unenforceable (see the discussion under ‘Trade and business connections’ and ‘Non-compete clauses’ below). Where an employee has personal knowledge and influence over an employer’s customers or clients, the employee can be restrained from taking advantage of this after employment. This is usually done through a non-solicitation of customers or clients clause, which must be reasonable, taking into account factors such as duration and the geographical area of restraint. Non-solicitation provisions can potentially extend to non-solicitation of suppliers as well. Periods of restraint of up to a year may potentially be enforced. Although there is no clear prohibition against longer periods, these are less likely to be enforced and may affect the overall enforceability of the clause. In the absence of an express clause, the courts may possibly be willing to imply a term to protect this proprietary interest, although unlike trade secrets, this has only been suggested (and not confirmed) by the courts. It is likely to be more difficult to enforce non-dealing (as opposed to non-solicitation) clauses, as these may be construed as unreasonable insofar as they do not just enjoin solicitation, but all forms of dealing. An employer can protect its workforce by a non-solicitation of employees (also known as non-poaching) clause. Such clauses are again subject to the requirement of reasonableness, taking into account duration and the types of employees covered. The restraint should not be a blanket prohibition on the prospective solicitation of all employees of the ex-employer, but should be referable to the position, training or knowledge of the target employee, and should also be restricted to employees over whom the ex-employee had influence. Again, periods of restraint of up to a year may potentially be enforced (with longer periods again less likely to be enforced, and potentially affecting enforceability of the clause). There has been no indication that the Singapore courts will be willing to protect this interest without an express term. Although the protection of an employer’s workforce is usually enforced by way of a non-poaching clause, the High Court decision in PH Hydraulics & Engineering Pte Ltd v Intrepid Offshore Construction Pte Ltd  4 SLR 36 (PH Hydraulics) suggests that it might be possible to enforce this by non-compete clauses as well (see further discussion below). On current legal principles, non-compete clauses are difficult to uphold and enforce if the three recognised legitimate proprietary interests identified above are already protected by other clauses (unless a yet further legitimate proprietary interest can be shown, which has not been successfully done to date in a reported case). The Singapore courts have, however, in recent years displayed an increased willingness to uphold non-compete clauses where not all of the three recognised legitimate proprietary interests are protected by other clauses. In this respect, a few decisions may indicate winds of change in terms of how courts view non-compete clauses. In the above-mentioned case of PH Hydraulics, the High Court characterised the maintenance of a stable, trained workforce as a legitimate proprietary interest that could be protected by a non-compete clause (as opposed to a non-solicitation of employees clause), allowing an employee to thereby potentially be enjoined from working for a competitor (or to be sued for damages if he or she did so). Subsequently in the High Court decision in Centre for Creative Leadership (CCL) Pte Ltd v Byrne Roger Peter and others  2 SLR 193 (CCL), the High Court, in considering whether a non-compete covenant was enforceable to protect confidential information and trade secrets (even though there was a separate clause in that case protecting such information), appositely commented that it did not seem logical that an employer that had both a non-compete covenant and a confidentiality clause had a lower chance of using the non-compete covenant to protect its confidential information than an employer that only had a non-compete covenant. However, the High Court noted that it was bound by the prior Court of Appeal decisions in Man Financial (S) Ptd Ltd v Wong Bark Chuan David  1 SLR(R) 663 (Man Financial) and Stratech Systems Ltd v Nyam Chiu Shin (alias Yan Qiuxin) and others  2 SLR(R) 579 (to hold that in a case where a confidentiality clause was already present, as was the case here, there needed to be a legitimate proprietary interest over and above the protection of confidential information and trade secrets for the non-compete covenant to protect). The CCL decision was appealed to the Court of Appeal, but was ultimately settled before the Court of Appeal could hear and rule on the matter. Thereafter, in the High Court decision in Lek Gwee Noi v Humming Flowers & Gifts Pte Ltd  3 SLR 27 (Humming Flowers), the High Court opined that the legitimate proprietary interest of trade connections could suffice to support both a non-compete and a non-solicitation clause. The Court ultimately did not grant the non-compete injunctions sought, however, and in any event, the position that trade connections can support both a non-compete and a non-solicitation clause may be questionable on the present authority of Man Financial. The Humming Flowers decision was also appealed to the Court of Appeal, but likewise settled before it could be heard. Recently, non-compete injunctions have been given to protect prospective clients and industry contacts where these were not protected by a non-solicitation clause. Whether these would qualify as a new category of legitimate proprietary interests is uncertain, though, and in any event, this was done in unreported High Court decisions that were not appealed to the Court of Appeal. Injunctive relief may also be granted to prevent a person who has obtained confidential information from using it as a ‘springboard’ for activities detrimental to the person to whom the confidential communication belongs, or to gain an unfair advantage or headstart over that person. Although similar in effect to a non-compete injunction based on restrictive covenants, such ‘springboard’ injunctions originate from cases involving a breach of the duty of confidence, and do not exclusively arise in employer-employee situations. Accordingly, a ‘springboard’ injunction may even be granted in the absence of any restrictive covenants, although the presence of restrictive covenants would at least be relevant. In the Singapore High Court decision in Jardine Lloyd Thompson Pte Ltd v Howden Insurance Brokers (S) Pte Ld & Ors  5 SLR 258, the ex-employer sought an injunction against its ex-employees to prevent the ex-employees from joining their new employer, and similarly sought an injunction against the new employer to prevent the new employer from hiring its ex-employees. This was done notwithstanding the absence of any non-compete clauses in the relevant employment agreements of the ex-employees. The basis of the ex-employer’s claim for the injunction rested (among other things) on the argument that its former employees had misused its confidential information and, accordingly, should be prevented (by way of an injunction) from taking unfair advantage of the ‘springboard’ that would otherwise be created from such misuse. While the Singapore High Court declined to grant the injunction sought on the grounds that there was no evidence of misuse of the confidential information (or risk thereof), the High Court appeared to suggest that in the appropriate case, a ‘springboard’ injunction could possibly be granted to prevent an employee from disclosing his or her employer’s confidential information (even in the absence of a valid non-compete clause). While there were non-solicitation and non-compete clauses in the relevant employment contracts and they were considered by the court, this was ultimately not the court’s basis for the grant of the ‘springboard’ injunction. In Goh Seng Heng, the High Court found that the four requirements above were satisfied as the ex-employees had (among other things) taken and misused confidential information and trade secrets, in addition to poaching the company’s doctors, entering into contracts unfavourable to the company, and inflating the salary of its ex-chief executive officer. The court found that these actions were intended to and did bleed the company financially, and the breaches of confidentiality gave an unfair competitive advantage towards the ex-employees’ new company. There was a real likelihood that without a ‘springboard’ injunction, the company would be ruined before the matter reached trial, and damages in lieu of an injunction would be therefore insufficient. As such, the ‘springboard’ injunction was found to be necessary. The ex-employees appealed against the High Court’s decision in this regard, and the appeal was allowed by the Court of Appeal. However, no written grounds of decision was rendered, so it is unclear what view the Court of Appeal took of the High Court’s reasoning above. A clause prohibiting the misuse of confidential information for a stipulated period of time may be a relevant consideration for the court in deciding how long the ‘springboard’ injunction should be in place (if granted at all). In PH Hydraulics, the High Court stated that the ‘springboard’ doctrine did not apply as the two-year period in the relevant confidentiality clause had expired, and the information was no longer confidential. On the other hand, where a period of time was not expressly stipulated in a confidentiality clause (and the relevant clause did not indicate how long this obligation would last), the Court of Appeal in Tang Siew Choy and others v Certact Pte Ltd  1 SLR(R) 835 took the view that the period of time to restrain the ex-employees from using confidential information would have to be gathered mainly from the complexity of the information protected, with the injunction to continue for the period for which the unfair advantage may reasonably be expected to continue. It is quite possible that the above cases may signal an impending paradigm shift in the law on non-compete clauses, though the law on this point will only be changed if and when the Court of Appeal rules accordingly in an appropriate case brought on appeal. A potential way to achieve a similar result to a non-compete clause may be to expressly incentivise employees not to compete (or disincentivise employees from competing) for a specific period of time after employment. Care should be taken by the employer in doing so, however. It should be noted though that in the Court of Appeal’s decision in Mano Vikrant Singh v Cargill TSF Asia Pte Ltd  4 SLR 371 (overturning the High Court decision in that case), the court held that to financially disincentivise an employee from competing through a contractual clause that deprived the employee of a vested right (in that case, a declared and vested deferred bonus payment) effectively amounted to a restraint of trade, which would have to pass the test of reasonableness in order to be enforceable (the restriction was found to be unreasonable there as, among other things, it had no geographical limit). This was notwithstanding the fact that the clause in question did not actually prohibit competition by the ex-employee, as his competition with the company was not in breach of his employment contract per se (and the company accordingly had no recourse to damages or an injunction). In light of this decision, while a financial disincentive to compete may still be a viable alternative means to effectively achieve non-competition, employers should be careful to ensure that the benefits sought to be withheld cannot be construed as having been vested, or otherwise encourage expectations that employees are entitled to such benefits. The courts may be more willing to uphold restrictive covenants agreed on in sale-of-business agreements, and also settlement (or possibly termination) agreements. This is particularly so where the agreement provides for new and substantial post-employment benefits, which have been freely negotiated between the employer and employee at that point. As to severance of terms, the Court of Appeal in Smile Inc Dental Surgeons Pte Ltd v Lui Andrew Stewart  1 SLR 847 (Smile Inc) significantly indicated that it was not in favour of the ‘notional’ severance approach in the construction of restrictive covenants (ie, the flexible ‘reading down’ of a clause by modifying, deleting or adding to the clause as appropriate, rather than applying the strict ‘blue pencil’ test which only allows for severance by actual deletion). This means a restrictive covenant with an unreasonably long period of restraint (eg, one year) may now be struck out in its entirety as unreasonable (because the period in question cannot be reduced by a ‘blue pencil’ deletion to make it more reasonable). The court stated that employers should draft reasonable (and therefore enforceable) restrictive covenants from the outset, instead of drafting unreasonably long periods of restraint in trying to obtain maximum protection, then subsequently relying on the courts to ‘read down’ the provision to make it enforceable. While the Court of Appeal in Smile Inc raised without apparent disapproval the use in other jurisdictions (eg, Australia) of ‘cascading clauses’ (which consist of multiple overlapping periods and areas of restraint, to specifically allow the offending ones to be ‘blue pencilled’ out), the High Court in Humming Flowers has since opined that cascading clauses offend against public policy, among other things, as they increase rather than reduce uncertainty, and should accordingly not be upheld; this may now be taken as the correct view unless and until the Court of Appeal holds otherwise. Barring express contractual requirements, an employer does not have an obligation at law to pay former employees while they are subject to post-employment restrictive covenants. That said, the fact that such payment was made may potentially result in the court finding the clause in question more reasonable on first principles, although this has not been judicially determined in Singapore to date. An employer may be vicariously liable for a criminal act or tort committed by its employee, if committed in the course of his or her employment. However, for there to be potential vicarious liability, the employee must have incurred legal fault through the commission of some tort or civil wrong, and not merely acts of assistance. The question is whether the tortious conduct of the employee was so closely related to his or her employment that it would be fair and just to hold the employer vicariously liable for such conduct. The court will examine all the relevant circumstances, including policy considerations, in determining this. In this respect, the High Court in Rohini d/o Balasubramaniam v Yeow Khim Whye Kelvin and another  SGHC 149 found that a real estate agency was not liable for its real estate agent’s acts of embezzling funds from the bank account of one of its clients. The facts of the case were unusual, though, as the level of trust the client had in the real estate agent was so high that she gave him signed blank cheques, trusting him to use them for her property deals. Where personal data is concerned, however, vicarious liability is more easily established. The PDPA provides that any act done or conduct engaged in by a person in the course of his employment shall be treated as done or engaged in by his employer as well as him or her, regardless of whether the employer knew or approved such conduct. It remains to be seen if employers may be found vicariously liable for harassment that occurs in the course of employment under the PHA, though it is likely that the Singapore courts would find the United Kingdom House of Lords’ decision in Majrowski v Guy’s and St Thomas’s NHS Trust  UKHL 34 (where the House of Lords took the view that an employer could indeed be vicariously liable for harassment) persuasive. An employer may also be liable under a transaction or bound by the acts of an employee under the principles of agency law. Where an employer confers on its employee the requisite authority to enter into the relevant transaction, the employer will be bound by the acts of the employee so authorised; this is the principle of actual authority. However, an employer may also be bound by the acts of an employee even if no such actual authority has been conferred in the event of the employee’s ostensible or apparent authority to bind the employer. An employee’s annual income is subject to income tax under the Income Tax Act. A non-resident (a foreign national who is in Singapore for fewer than 183 days in a year or less than a continuous period of 183 days over two years) is still liable to pay income tax on Singapore-sourced income, unless the non-resident is employed for 60 days or fewer (save for certain exceptions). Before an employer makes final payment to a non-resident who is leaving, it has to withhold a percentage of that payment and pay the amount to the Inland Revenue Authority of Singapore (IRAS) as withholding tax (see also question 40). The Skills Development Levy Act also provides that a skills development levy will be imposed on the employer for all employees, up to the first S$4,500 of the employee’s gross monthly pay. The levy is imposed at the rate of 0.25 per cent of the employee’s monthly remuneration or S$2, whichever is greater. Under the Copyright Act, the person who creates a work is the owner of the copyright in the work. However, the employer owns the copyright if the work was created in the course of an individual’s employment unless there is an agreement to the contrary. Under the Registered Designs Act, designs created by an employee in the course of employment likewise belong to the employer, unless there is an agreement to the contrary. Under the Patents Act, the patent for an invention is normally granted to the actual deviser (inventor) unless, by virtue of any treaty, international convention or enforceable term of any agreement entered into with the inventor before the making of the invention, it is to be granted to any other person (such as the inventor’s employer). No, in contrast to personal data, there is no legislation that expressly governs the protection of trade secrets and other confidential business information. Rather, protection in this respect is afforded through common law and equitable principles (see question 28). The PDPA (see question 1), which governs data protection, applies to all organisations except for those in the public sector. It generally protects ‘personal data’, which is broadly defined as data about an individual who can be identified from that data (or in conjunction with other likely accessible information). The PDPA generally requires that an individual’s consent be obtained before the organisation can collect, use or disclose personal data. However, the PDPA dispenses with the requirement for the individual’s consent in certain situations, four of which are pertinent in the employment context. First, personal data produced for the purposes of an individual’s employment, and personal data for the purposes of managing or terminating an employment relationship, may be collected, used and disclosed for those purposes (as long as notification of such purposes are given to the employee). This would potentially cover personal information such as biographical data, financial affairs, medical conditions, race, gender and religion (eg, employees’ bank account details for payment of salaries). Such personal information collected should ideally (but not mandatorily) be relevant to the unique requirements of the position, and should not be obtained to exclude certain types of candidates. Second, an employee’s personal data can also be collected, used and disclosed without the need for the employee’s consent and without the need to notify the employee, for ‘evaluative purposes’. This includes determining suitability for employment, promotion or removal from employment (eg, references from a former employer, employees’ performance records). Third, an employee’s personal data can be used by the employer or disclosed to a party or prospective party (a third party) in a business asset transaction provided the personal data relates to the part of the employer’s organisation or business assets with which the transaction is concerned (if the personal data is necessary for the third party to determine whether to proceed with the transaction), and the employer and the third party have entered into an agreement that requires the third party to use or disclose the personal data only for the purposes related to the transaction. In such a case, the employer must notify the employees that the transaction has taken place and that their personal data has been disclosed to the third party. If the business asset transaction fails to proceed or complete, the third party to the transaction must return or destroy the personal data obtained. Fourth, an employee’s personal data may be collected, used or disclosed without notification or consent if it is ‘necessary for any investigation or proceedings’. Such collection may only be done if it is reasonable to expect that seeking the consent of the individual would compromise the availability or the accuracy of the personal data. While the term ‘proceedings’ relates to civil, criminal or administrative proceedings by or before a court, tribunal or regulatory authority, it is likely that the term ‘investigations’ as distinguished from ‘proceedings’ would also encompass investigations within an organisation. Organisations must designate at least one individual (the Data Protection Officer) to be responsible for ensuring compliance with the PDPA. Organisations must also safeguard the personal data in their custody or control by making reasonable security arrangements to prevent unauthorised access, use, disclosure, copying, modification, disposal or other similar risks. They must also destroy or anonymise personal data once the purpose for its collection has expired. The PDPC is in charge of administering and enforcing the PDPA (the PDPA does not prescribe any registration requirements with a central agency as yet). The PDPC has also released substantive Advisory Guidelines (including guidelines for selected topics such as employment, and sector-specific guidelines, eg, for telecommunications, healthcare, real estate, etc). Employers must also ensure that their employees understand and uphold the PDPA obligations regarding data privacy. Under the PDPA, any acts done or conduct engaged in by an employee in the course of his or her employment are treated as also done or engaged in by his or her employer, whether or not it was done or engaged in with the employer’s knowledge or approval. In Executive Coach International Pte Ltd  SGPDPC 3, the PDPC issued a warning to the employer for breaching its consent and notification obligations under the PDPA despite the employer’s position that it did not authorise its director to disclose the personal data of a former employee, and had no know­ledge of the director doing so. To date, there have been prosecutions for breaches of the Do Not Call Registry under the PDPA (with fines ranging from S$500 to S$39,000). The PDPC has also issued warnings and financial penalties of up to S$50,000 against companies in breach of their obligations in respect of personal data under the PDPA. Most of these decisions, however, relate to breaches in respect of customers’ personal data as opposed to employees’ personal data. Moving forward, we can expect to see revisions to the PDPA that impose stricter breach reporting rules. Proposed revisions that may come into effect in 2019 include requiring organisations to notify individuals that have been affected by a breach as soon as practicable. Organisations would have 30 days to determine the veracity of suspected breaches, following which they would have 72 hours to notify the PDPC of such breaches. Over and above this, the PDPC has approved a proposal for organisations to share blacklists to detect fraud and prevent abuse of data, provided that the organisation ensures that the consumer is not harmed in any way and the data is not abused. Apart from the statutory obligations under the PDPA and contractual provisions, the employer also continues to be under a common law duty not to breach the confidence of the employee. Under section 18A of the EA, when a business or business unit is transferred from one entity to another (as opposed to a pure asset or share transfer), the employment contracts of the employees of the transferred business that are covered by the EA are not terminated, but instead automatically transferred. Currently, there is no clear definition of what constitutes a ‘transfer’, and Singapore labour movements have pushed for greater clarity as to the scope of business transactions covered. Changes to the EA to be implemented in April 2019 (see question 1) will also extend the application of this section to all employees (whereas currently this section applies only to non-PMEs and PMEs earning S$4,500 a month or less; see question 1). Where there is such a ‘transfer’, transferred employees covered under the EA would have their employment contracts post-transfer regarded as if they had originally been made between the new owner of the business and the employee, and all the terms and conditions of service would be preserved. However, the new employer, the employee and the trade union (if any) are not prevented from negotiating and entering into new contracts of service on different terms from those contained in the original employment contract. For transferred employees under pre-existing collective agreements, their employment terms under a pre-existing collective agreement will be protected for at least 18 months (even if the collective agreement would have expired before that). The employer is currently required to notify its EA employees and any relevant trade union of the fact that the transfer will take place, the approximate date, the reasons for and the implications of the transfer and the measures that will be put in place by both the transferring employer and the new employer in relation to the affected employees. The new employer is, however, only required to enter into consultations with the employees or the trade union concerning the transfer of the business when it is reasonable to do so before the anticipated transfer takes place. Trade unions that had been recognised by the former employer will be deemed recognised by the new employer if the majority of the new employer’s employees, after the transfer of the business, are members of that trade union. This will have repercussions for the new employer (see questions 4 and 5). If a dispute in this regard is referred to the Commissioner for Labour, the Commissioner has the power to delay or prohibit the transfer of employment from the transferring employer to the new employer, or order the transfer of the employee’s employment on certain conditions. Under the PDPA (see question 1), employees’ personal data can be disclosed to the new employer for the purposes of the transfer, but the new employer may only use or disclose that personal data for the same purposes for which the previous employer would have been permitted to use or disclose it. In addition, the relevant employees must be notified of the transfer and disclosure (see question 34). Provided the employment contract has an express termination clause, an employer may currently terminate an employee who is not covered by the EA (see question 1) with notice or payment in lieu of notice for any reason (ie, without cause), and the employer is not generally obliged to justify the termination of employment where notice has been provided. ‘Cause’ is not defined in Singapore statutes or regulations. However, an EA employee who feels that he or she has been dismissed without just cause or excuse (even if notice or payment in lieu has been provided) may make representations within one month of the dismissal to the Minister of Manpower (through the MOM). If the Minister finds for the employee, the employer may be directed to reinstate the employee to his or her former employment or compensate the employee his or her lost wages or both. After changes to Singapore’s employment regime have been implemented in or around April 2019, all employees may bring such wrongful or unfair dismissal claims before the Employment Claims Tribunal (see question 3). In respect of terminations for cause, employees covered by the EA (which would include almost all employees from April 2019 onwards; see question 1) may be dismissed without notice (or payment in lieu) after ‘due inquiry’ (this is further discussed in question 38) on the grounds of misconduct inconsistent with the fulfilment of the conditions of service, or in the event of any wilful breach of a condition of the contract of service. The 2016 Court of Appeal decision of Phosagro Asia Pte Ltd v Piattchanine, Iouri  5 SLR 1052 (Phosagro Asia) highlights the importance of being clear as to which terms are expressed in this regard to be ‘conditions’ of the employment contract. In Phosagro Asia, the employee was the managing director, and was entrusted with a significant degree of authority, responsibility and independence in the conduct of the employer’s affairs, including having the sole authority to sign cheques, reimbursing himself for the expenses that he incurred on a monthly basis. His employment contract did not expressly set out what breaches of the conditions of his employment would allow for summary termination for cause. The employee was found to have reimbursed himself using the employer’s funds for his personal expenses, and the issue before the court was whether the employee had thus been guilty of ‘serious misconduct’ or ‘wilful breaches’ of the employment contract so as to allow the employer to terminate his employment summarily for cause without payment in lieu of notice. The Court of Appeal found that despite the employee’s breaches, he actually could not be said to have deprived the employer of substantially the whole benefit of the employment contract given his overall contributions to the employer. However, the court found that it was an express term in the employee’s employment contract to well and faithfully serve the employer in all respects and use his best endeavours to promote the interests of the employer. As the court found that significant trust had been reposed in the employee such that parties must have intended the term to be of utmost importance, the term constituted a condition at law. It thus followed that the breach of such express term constituted ‘serious misconduct’ so as to entitle the employer to summarily terminate the contract for cause without payment in lieu of notice. In the High Court decision of Phosagro Asia, it was also held that if an employer has elected to terminate the employment agreement pursuant to its contractual rights, the employer cannot later attempt to rely on its common law right of termination by alleging a repudiatory breach of the employment agreement by the employee. The Court of Appeal’s decision in Phosagro Asia did not deal substantially with this point of law. In light of this, and also given that employees covered by the EA (which will soon cover almost all employees; see question 1) may only be dismissed without notice on the grounds of misconduct inconsistent with the fulfilment of, or in the event of a wilful breach of, the ‘conditions’ of service, it is important for employers to expressly state that certain terms of an employment contract are conditions, and identify which circumstances and situations would allow an employer to summarily dismiss an employee for cause without notice. This would potentially allow an employer to avoid having to prove that he had been deprived of substantially the whole benefit of the employment contract in order to justify summarily terminating the employee’s contract for cause without notice (or payment in lieu of notice). Employers may also word their employment contracts such as to make it a condition of any payment (such as severance payments or payment in lieu of notice) that the employee has not been guilty of any serious misconduct or other breach, and that if it transpires that the employee had in fact been guilty of such, any such payment already made would be repayable on demand. The High Court decision of Cheah Peng Hock v Luzhou Bio-Chem Technology Limited  2 SLR 577 (later upheld by the Court of Appeal) was concerned with the constructive dismissal of an employee. The court ruled that employers owe their employees an implied duty of mutual trust and confidence. The court elaborated, however, that such a duty would not have a bearing on the termination of an employee’s contract with notice or oblige the employer to show cause, provided that the relevant employment contract expressly allowed the employer to terminate the contract with notice. This position was subsequently confirmed by the High Court in its decision in Wee Kim San Lawrence Bernard v Robinson & Co (Singapore) Pte Ltd  1 SLR 1382 (later also upheld by the Court of Appeal). The upshot of this may be that in the absence of an express contractual right to terminate, the employer may no longer have an implicit right to terminate without cause (whereas the previous position had been that all employment contracts were terminable without cause upon the provision of reasonable notice). Cause will in any event have to be shown in cases of termination without notice, or summary dismissal (see question 38). Most recently, the High Court in TT International Ltd v Ho Lee Construction Pte Ltd  SGHC 62 briefly considered termination for convenience clauses, which enabled employers to terminate employees immediately upon notice. The Court left open the possibility that an employer exercising his contractual right to terminate for convenience may nevertheless be committing a breach of contract. While the Singapore courts’ recognition of the implied duty of mutual trust and confidence suggests that such a power to terminate would be subject to a duty of good faith, this remains to be seen. It also remains to be seen whether the prospective changes to the EA in 2019 allowing any employee to claim wrongful or unfair dismissal even where notice or payment in lieu is provided will effectively remove the employers’ ability to terminate for convenience, and cause Singapore to cease to be an at-will employment jurisdiction. For EA employees (see question 1), termination of the employment contract without cause and without notice is permitted under the Act, provided that payment of salary in lieu of notice is provided. Where the employment contract is silent as to the relevant notice period, the EA prescribes minimum notice periods according to the employee’s length of service. As for non-EA employees (largely irrelevant from April 2019 onwards; see question 1), while it is ideal to expressly provide for payment of salary in lieu of notice in the employment contract, an employer can generally pay salary in lieu of notice in the absence of an express term, as long as the employee is not put in a worse-off position (eg, through lack of CPF payments for that period as a result (see question 25). The Court of Appeal in Goh Chang Peng and others v Beyonics Technology Ltd and another and another appeal  SGCA 40 noted that the same is not necessarily true for employees, who are not entitled at common law to terminate a contract of employment by payment of salary in lieu of notice. This judgment aligns with the realities of employment practices, where there are different considerations such as issues of whether the employee has properly handed over his or her work before leaving. For the same reasons, while the employer can generally place the employee on gardening leave (ie, not requiring the employee to come to work for all or part of his or her notice period), in the absence of an express contractual term allowing this, an employee cannot insist on gardening leave. The EA allows for termination of the employment contract without notice in the event of any wilful breach by the other party of a condition of the employment contract. An employer may also dismiss an EA employee (see question 1) after ‘due inquiry’ without notice on the grounds of misconduct inconsistent with the employee’s obligations and conditions of service (ie, for cause). 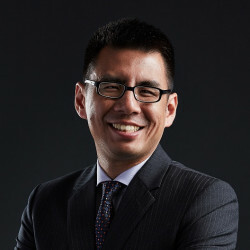 While the term ‘due inquiry’ is not defined under the EA, the High Court in Long Kim Wing v LTX-Credence Singapore Pte Ltd  SGHC 151 held that ‘due inquiry’ comprised more than merely making inquiries and conducting an investigation, and involves informing employees concerned of the allegations and evidence against them. While this case concerned a then non-EA employee whose contract expressly gave the employer the right to summarily terminate his employment after ‘due inquiry’, it should be noted that the MOM website also provides general guidelines for holding an inquiry (to which the High Court in this case referred). Even where the employee has been wrongfully summarily dismissed, his or her recourse in damages will generally only be for a sum equivalent to his or her pay during the period of notice (unless it resulted in a loss of other benefits such as deferred bonuses or vested share options, in which case the claim may include such other benefits). The position is different, however, in the case of termination of a fixed-term contract with no termination provisions (see question 36). It also remains to be seen whether the EA changes to potentially allow all employees to claim compensation even where notice is given will also allow larger compensation claims. The right to severance pay is not statutorily provided for in Singapore, save for employment assistance payments (payable under the RRA to employees 62 years of age or older whose employment is terminated on the grounds of age and who are not re-employed (see question 44)). Any right to (and calculation of) severance pay will have to be provided for in the employment contract (or a collective agreement, in the case of unionised employees; see questions 4 and 5). Part IV of the EA currently provides that an employee covered under this part (see question 1) is not entitled to retrenchment benefits unless the employee has been in continuous service with an employer for two years or more. However, this is a minimum requirement, and does not automatically entitle such an employee to any retrenchment benefit or severance payment in the absence of an express contractual provision granting this in his or her employment contract or collective agreement. Notwithstanding the above, employers may still choose to pay severance even in the absence of contractual obligations for reasons of morale, reputation, industry norms or consistency with group offices in other jurisdictions. In such cases, the customary amount is one month per year of service (this has been recognised by the Industrial Arbitration Court; see questions 4 and 5), although this may vary in cases of industry or global economic downturns such as that which affected the marine and offshore industries. Unionised employees are in a much stronger position to demand severance through their unions, even if this is not contractually provided for (see questions 4 and 5). Often, a dispute will arise in respect of the effect of termination on bonus payments. In this regard, the High Court in Leong Hin Chuee v Citra Group Pte Ltd & Anor  2 SLR 603 commented that even where such bonus payments are contractually stipulated to be payable at the employer’s discretion, the implied duty of mutual trust and confidence may oblige an employer to exercise its discretion towards an employee in a bona fide and rational manner. That said, the court noted that much will depend on the intention of the employer and employee, as reflected in the terms of the employment contract and the circumstances of the case. In this respect, making such payments subject to the ‘sole and absolute discretion’ of the employer helps to preserve the employer’s full discretion. In the case of EA employees (see question 1) or if the contract otherwise expressly provides, the employer is obliged to conduct ‘due inquiry’ prior to dismissing without notice on grounds of misconduct (see question 38). Section 22 of the EA provides that the total sum due to an employee who has been dismissed shall be paid on the day of dismissal or, if this is not possible, within three working days thereafter. However, section 24 provides that no payment of salary or any other sum due to a foreign employee on termination of service shall be made to the employee by the employer without the permission of the Comptroller of Income Tax. An employer shall immediately give notice of a termination of service to the Comptroller of Income Tax and the payment of the salary or other sum due to the employee shall be paid within 30 days after such notice has been given to and received by the Comptroller of Income Tax (after the employer deducts the necessary taxes payable to IRAS and pays these direct to IRAS). There are currently no statutory procedural requirements for dismissing non-EA employees. Apart from what is contractually required, no prior notification or approval is therefore required (unless there is a mass termination; see question 42). However, employers should take care as to how they characterise and handle a termination (see questions 36 to 39). Beyond termination, employers should also be mindful of exercising reasonable care when writing references or recommendations for former employees. In Ramesh s/o Krishnan v AXA Life Insurance Singapore Pte Ltd  4 SLR 1124, an employer was found liable to pay damages to an employee arising out of a misleading letter of reference (eventually assessed to amount to just over S$4 million). The Court of Appeal stated that a standard of care was expected of employers when writing a reference for both current and former employees. Employers must ensure that the facts stated in a reference are true, and that any opinions expressed in the reference are based on and supported by facts that are true. Further, employers must also ensure that the reference as a whole does not give an unfair or misleading overall impression of the employee, even if the discrete pieces of information within the reference are factually correct. See question 2 in relation to female and elderly employees, and questions 36 to 40 on protection from wrongful or unfair dismissal. There is no absolute statutory prohibition against dismissal otherwise. Employers who employ at least 10 employees are required to notify the MOM if five or more employees are retrenched within any rolling six-month period. Retrenchments are defined as dismissal on the grounds of redundancy or by reason of any reorganisation of the employer’s profession, business, trade or work. This applies to permanent employees, as well as contract workers with full contract terms of at least six months. Failure to notify the MOM within the required time-frame may cause an employer to be liable upon conviction to penalties, including a fine not exceeding S$5,000. At the moment, there are no other special rules governing mass terminations or collective dismissals in Singapore. However, in the event of a corporate restructuring and consequent transfer of employees to a new corporate entity, the provisions set out in section 18A of the EA should be followed in the case of EA employees (see questions 1 and 35). Class action suits are not provided for under the Rules of Court per se, and every employee who wishes to assert a claim has to do so on an individual basis (ie, as an individual plaintiff to the suit). Employees may, however, bring a representative action, provided that the various parties have the same interests in the proceedings (in which case one or more of them may potentially represent the group in the proceedings). Under the RRA, the current statutory retirement age is 62. It is an offence to dismiss an employee below 62 on grounds of age alone (although this does not prevent an employer terminating an employee’s contract for poor performance, ill health or misconduct, and there have been no known prosecutions for a breach of this provision in any event). Further, under the RRA, it is mandatory for companies to offer re-employment opportunities to workers beyond the statutory retirement age of 62, up to the age of 67. The employer is only obliged to offer re-employment where the employee is medically fit and, upon the assessment of the employer, can deliver satisfactory job performance. In cases of re-employment, a new contract of service is to be entered into between the employer and the employee where the job scope and the terms and conditions may vary from the previous contract of service, as long as the variation from the original contract is based on reasonable factors such as the employer’s requirements and the employee’s productivity, performance, duties and responsibilities. The new employment contract cannot be for less than one year, unless otherwise agreed. If the employer is unable to re-employ an eligible employee because the employer is unable to find, after having made reasonable attempts to do so, a vacancy in the company that is suitable for the eligible employee, the employer is required to offer the employee an ‘employment assistance payment’ (EAP). This EAP is payable as a lump sum and is to be determined in accordance with TAFEP Guidelines (the rule of thumb is 3.5 months’ salary, though a cap of S$13,000 is suggested, with a view to prevent the EAP from encouraging employees to stop working). Under those guidelines, employers are also encouraged to inform employees who do not qualify for re-employment at least three months before retirement. Yes, though this is not common in Singapore. An employee may potentially agree to waive statutory or contractual rights to potential employment claims as a matter of contract or estoppel, although certain statutory rights to employment claims may not be waived (eg, claims in respect of statutory maternity leave), and any contractual provisions to the contrary are potentially void and unenforceable. The waiver may be express or implied from conduct. For estoppel, the waiver must amount to a clear and unambiguous representation. Further, the employer must act in reliance of the concession such that it would be inequitable to allow the employee to resile from his or her representation. For EA employees (see question 1), the Commissioner for Labour under the MOM is not permitted to inquire into any dispute between the employer and the employee where the matters arose earlier than one year from the date of lodging the claim, and the claim must also be lodged within six months of the termination of the contract. There are also certain limitation periods for bringing claims under the CDCA and RRA in respect of maternity and retirement and re-employment disputes respectively. 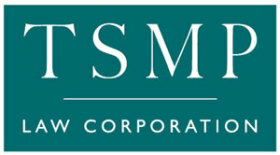 Claims brought under the ECT or for mediation before the TADM must currently be filed within one year from the date of the dispute if the employee is still employed, and must be filed within six months after the last day of employment if the employment relationship has ended. However, where an action is brought under contract or tort in the civil courts (eg, by a non-EA employee (see question 1), or by an EA employee outside the time period stated above), the claimant employee has six years under the Limitation Act from the date on which the cause of action accrues to bring the action. 2017 and early 2018 saw legislative and regulatory changes directed at increasing employees’ rights and protections, as well as access to justice. To name a few, parental leave entitlements were expanded, the re-employment age was raised, and various soft-law guidelines were introduced addressing retirement and re-employment discrimination, the concerns of fixed-term workers, mass retrenchments and maintaining a Singaporean-core workforce. Decisions of the Singapore courts likewise expanded on an employer’s obligations consistent with its duty of mutual trust and confidence, and the Employment Claims Tribunals and the Tripartite Alliance for Dispute Management were constituted to facilitate increased access to justice for PMEs. Coupled with the above, 2017 also saw the MOM ramping up its prosecutions and other enforcement actions, in particular upholding the statutory standards of workplace safety. In November 2017, a hefty fine of S$400,000 was issued to local employer Jurong Shipyard for failing to ensure the health and safety of its employees. This was swiftly followed by another fine of S$230,000 issued to the same employer in January 2018 for safety lapses on a separate occasion resulting in the deaths of two employees. In this respect, the MOM also reviewed the Workplace Safety and Health Act in 2017 with a focus on enhancing deterrence against worksite accidents, improving the industry’s learning from such accidents, and raising of the maximum penalties. That Act now provides for penalties of up to S$1 million for repeat corporate offenders. allowing the Employment Claims Tribunals to hear both dismissal and salary-related claims. Such changes confer a host of new statutory rights and reliefs on employees, particularly since the EA’s provisions governing dismissal (in particular unfair dismissal) will now cover nearly all employees. Over and above this, pre-existing soft-law such as the Tripartite Standards and Tripartite Guidelines which were first introduced in 2017 (and which continue to be introduced) may also potentially be implemented as statutory law, or otherwise form industry norms in the future. Moving forward, we may also see increased movement towards protecting women against challenges they face in the workplace, such as the gender pay gap, harassment and maternity protection. In the area of non-competition and restraints of trade, however, (which continue to remain the preserve of the courts), we continue to see judges being increasingly inclined to uphold and enforce post-termination restrictive covenants (including confidentiality, non-competition, non-solicitation of clients and non-poaching of employee clauses). All things considered, 2018 and 2019 look set to be a period of major changes to Singapore’s employment law regime.